Made with durable vinyl with foam inside. Two bands and a reinforced handgrip to secure hold. 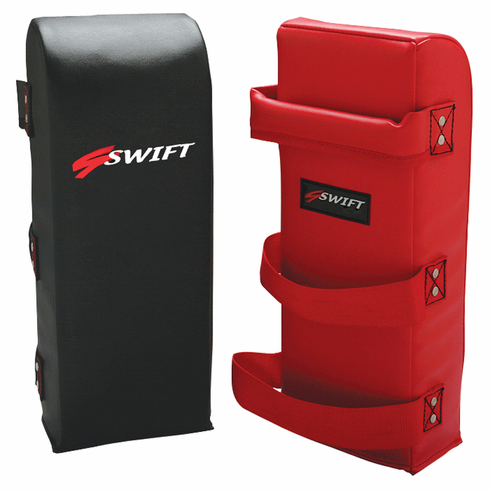 Great for blocking punches and kicks. Sold individually.